I am thrilled. My digital photographic abstractions were featured in the print and electronic editions of The Christian Science Monitor. Please click here to view the online image gallery. 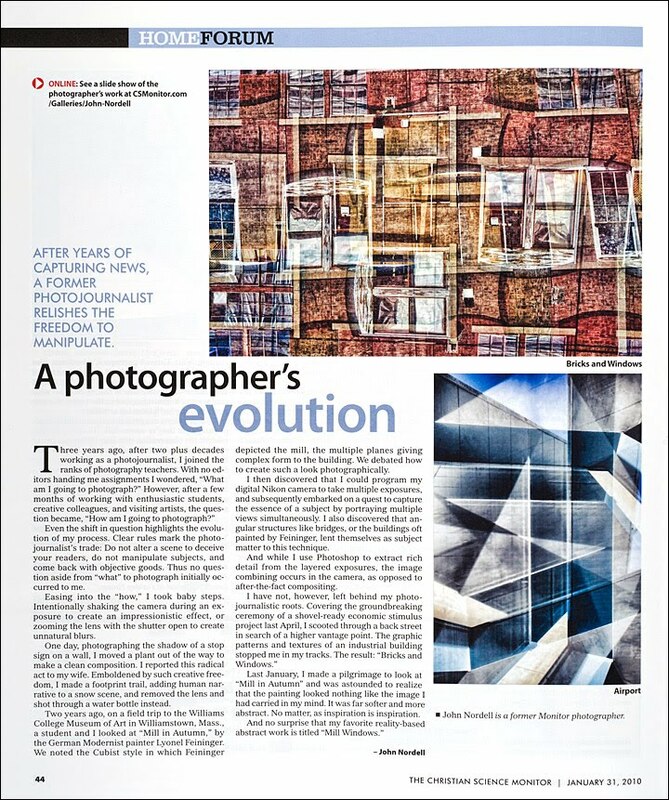 The print version below includes an essay I wrote that traces my evolution from photojournalist to abstract artist. Click the image to enlarge. Click your browser's back button to return to blog.